5th January – It belongs in a museum! Starbound 1.0 draws nearer and nearer! Remember fossils? Pretty soon you should be able to dig ’em up in the nightly. Fossil assets have been in the game for quite awhile, but players haven’t really been able to do anything with them. We’re also working on putting survival mode back in the game, which means that *certain features* will be making a return. But more on that later! 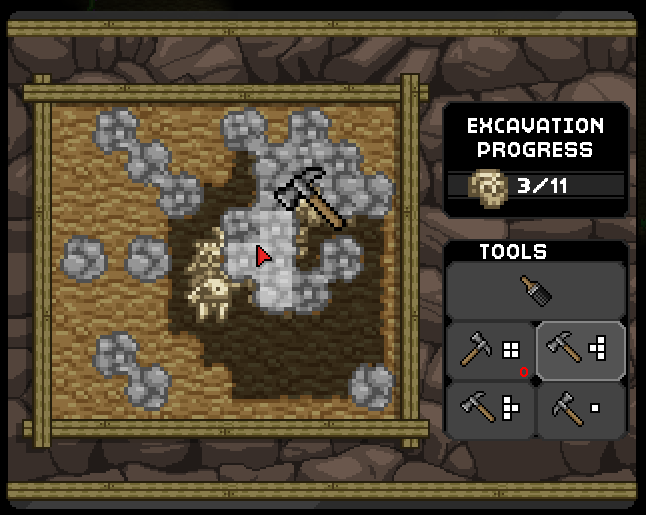 Here’s a screenshot of the fossil mini-game in action (the UI is a work in progress! ).